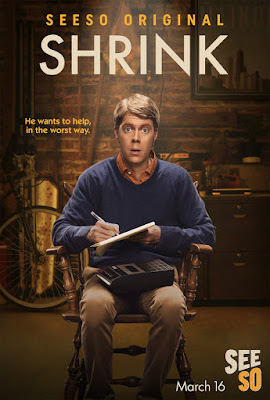 The new series "Shrink" premieres today on Seeso, NBC's ad-free streaming comedy site. Created by Tim Baltz ("The Second City Project") and Ted Tremper, the series follows a young therapist (Baltz) who just lost his residency and is left with a huge student loan debt. In order to perform the required quota of 1,920 hours of supervised clinical therapy, he decides to look for patients on Craigslist and conduct his therapy sessions for free in his parent's garage. All episodes of "Shrink" are available now on Seeso. The first episode can be watched for free on YouTube, and if you like what you see, you can subscribe to Seeso and watch the entire first season. "Recent med-school graduate David Tracey just lost his residency. With $584,000 of student loan debt and his dream of being a "real doctor" destroyed, he discovers a loophole: If he can perform 1,920 hours of supervised clinical therapy, he’ll still be able to help people for a living. Now all he needs is a supervising therapist, and patients willing to come to his office...in his parents’ garage."